Construction crews working on NAU’s International Pavilion are enthusiastic about the university’s first net-zero facility, defined as a structure with energy use equaling the amount of renewable energy created on site. The building, with an auditorium and support services for international students, will have solar panels expected to produce more power than the building’s requirements. The pavilion also is expected to earn Platinum LEED status. The biggest building energy users are lighting and the heating, ventilation, air conditioning and cooling systems. Spear said a combination of in-floor heat, fans and vents will eliminate the need for forced-air heating. The lighting system will use solar tubes for magnifying natural daylight and electrical fixtures that require less energy. Construction on the International Pavilion is underway with completion expected this summer. The more than 9,000-square-foot facility will include a 300-seat auditorium, lounge area art and game spaces and offices. Spear and fellow project manager, Kai Kaoni, earned bachelor’s and master’s degrees from NAU and both men say they value the building’s green construction processes. 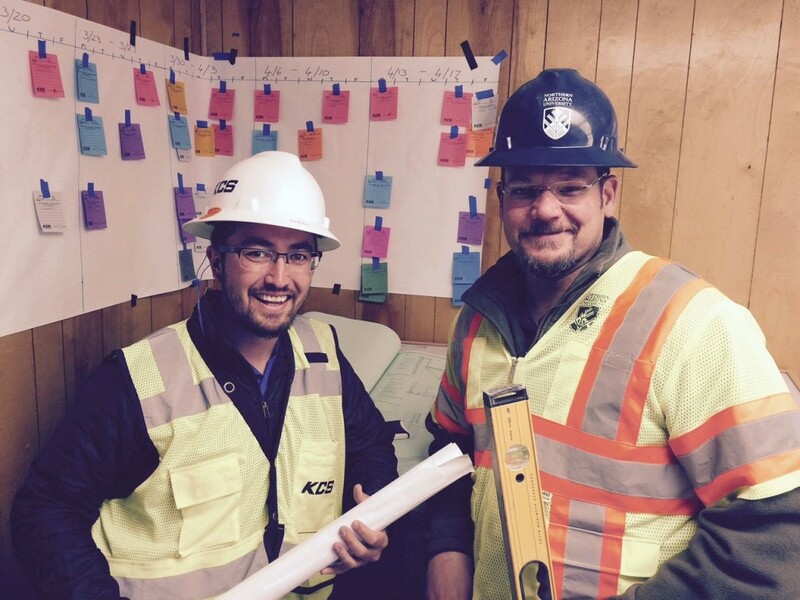 “In my mind, sustainability is an important aspect of a great project because we need to consider environmental impacts for future generations,” said Kaoni, who works for Flagstaff-based Kinney Construction Services. On the current project, Kaoni said they looked for material in close proximity to the site and worked to recycle construction waste. When NAU’s International Pavilion is completed this summer, it will likely be the greenest building of its kind in the world, said Harvey Charles, vice provost for International Education. “By garnering Platinum LEED status and being net-zero, this building will respond to the imperatives of climate change,” Charles said. Where can we see more details about the design of this pavilion? Loving the new way to save energy. I am always looking at ways to decrease my energy usage, but you can only go so far until technology starts to improve more. Keep up the good work my friends!